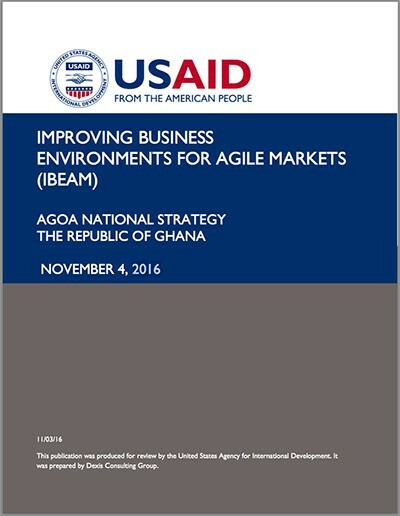 Ghana's economy has been strengthened by a quarter century of relatively sound management, a competitive business environment, and sustained reductions in poverty levels. Ghana is well endowed with natural resources and agriculture accounts for roughly one-quarter of GDP and employs more than half of the workforce, mainly small landholders. The services sector accounts for 50% of GDP. 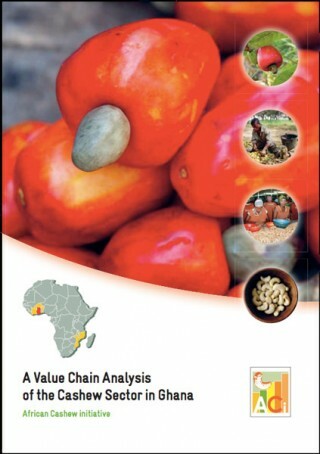 Gold and cocoa production and individual remittances are major sources of foreign exchange. Oil production at Ghana's offshore Jubilee field began in mid-December, 2010, and is expected to boost economic growth. President MAHAMA faces challenges in managing new oil revenue while maintaining fiscal discipline and resisting debt accumulation. Estimated oil reserves have jumped to almost 700 million barrels. Ghana signed a Millennium Challenge Corporation (MCC) Compact in 2006, which aims to assist in transforming Ghana's agricultural sector. An overview of Ghana's participation and utilisation of AGOA preferences since 2000, including relevant trade data and sector-focus. Double-sided A4 brochure. For printing purposes, set 'fit to page' on your printer. 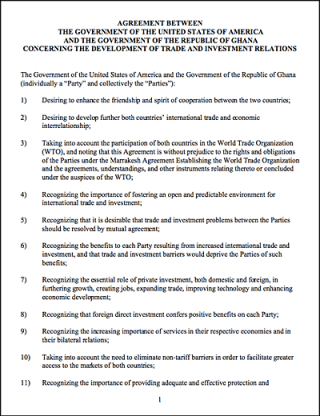 Trade and Investment Framework Agreement between the United States of America and the Republic of Ghana.